Brown had a couple excellent games for Mac Irvin on Saturday, including a great 26 point performance despite missing several minutes in the first half with foul trouble. Brown got to the rack relentlessly and finished often to revitalize his team at times. The good-sized wing prospect was active on the boards on each end, had a couple blocks on the day and hit some shots outside the arc as well. 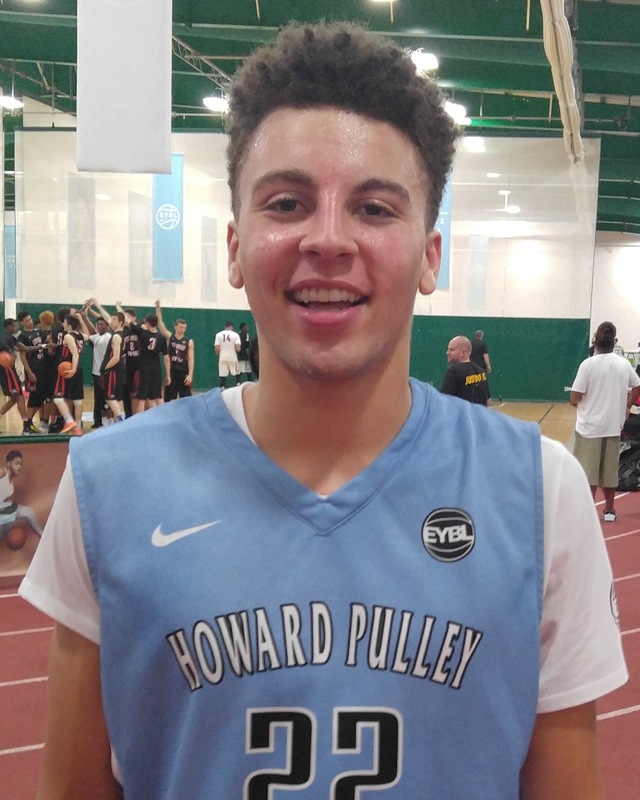 There were times on Saturday when the elite guard prospect was unstoppable on the court. In Mac’s first game, Brown dropped 29 points and added 9 rebounds, going 11-15 from the field and leading his team to a big win. Against Ramey in the rematch from Session 1, Brown got off to a hot early start taking it to the basket with excellent body control and also hit some sweet mid to short-range jumpers with some finesse. He finished with 17 points 5 rebounds, 6 assists and 2 blocks in that tough overtime loss. Brown finished the night with another 20-point effort, knocking down a triple in that one and also sinking 7-of-8 from the free throw line. Diener was excellent and steady throughout the day for the Warriors despite the team dropping a tough game early. 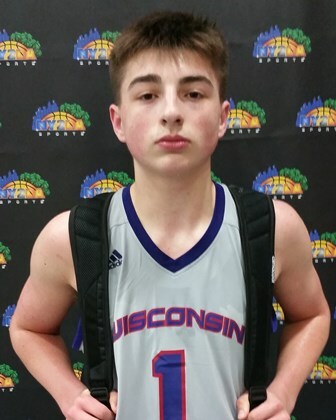 The 6-4 guard from Cedarburg had 15 points and 5 rebounds in the first game hitting a couple nice jumpers and lay-ins. 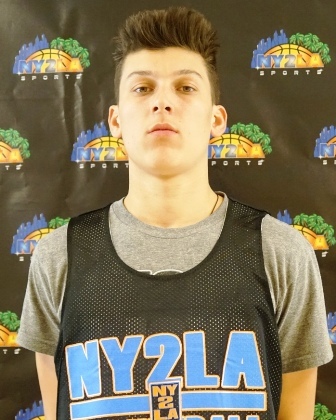 His best game of the day was the second one where Diener dropped 17 points showing good patience offensively and again sinking some shots, adding 2 rebounds and 2 steals to the stat-line as well. To finish the day, he had 14 points and 5 rebounds and despite the opponent’s star having a big day scoring, Diener’s defensive pressure wore the guy down and PGC came out with the win. Finke had it rolling for the Irish in a couple tough losses on Saturday. To start the day, he had his shot falling well, scoring 21 points after hitting a pair of three’s and finishing strong inside. He also had 9 rebounds in that game. To cap the night against Mac Irvin, Finke drilled 6 treys, fired in 31 points and had 5 rebounds as well for one of the better individual performances of the day in any grade. Gordon had to work for everything on Saturday, but he did an excellent job working hard and utilizing his size and skills to impact the games they played. They dropped a tough one early to Mac Irvin where the 6-6 big man scored 16 points but had a monster 15 rebounds as well, while going 7-11 from the field. In a win later on, Gordon poured in 26 points with some excellent drives to the basket from the mid-post areas and had another 8 rebounds, finishing plays from the free throw line going 6-of-8. Griffin had an outstanding day a couple games in the Championships Saturday for Scottie Pippen Rising Stars. The long wing threat was sensational beyond the arc sinking a number of three’s throughout the day. In an overtime upset over KC PowerGroup in their first game, Griffin had 22 points, going 4-7 from three-point range and also got active on the boards with 11 rebounds. He followed that with a 20-point game and a huge 6 three-pointer game hitting 50%, adding 4 rebounds and 2 steals. In a win on Saturday, Herro got it going a bit from the outside with a couple three’s, was strong with the ball on the perimeter and when attacking the hoop which got him to the free throw line as well. 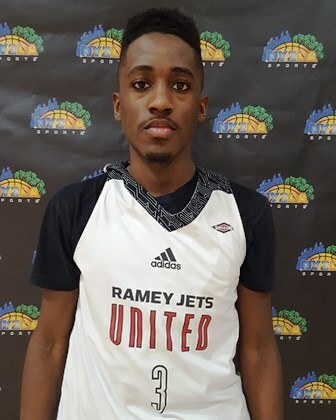 He went 6-6 from the charity stripe and was 2-5 from downtown, finishing with 16 points with 7 nice rebounds and leading United to another win. Johal was unbelievable for Yanders in each of their games on Saturday. 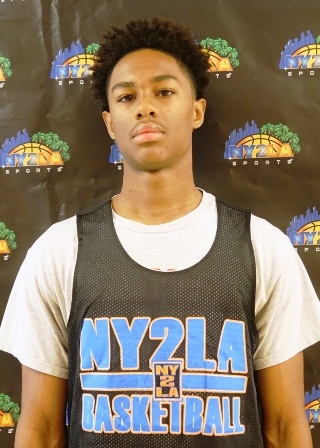 The talented wing type player who rotates as point guard, shooting guard and small forward at times went to work off the dribble, scored at the rim, on pull-up fall away jumpers and hit a couple three’s en route to a pair of 30-point effort and another 24-point game. Johal was outstanding from the free throw line, hitting 14-of-17 the first game to close out a win. He also was a man on the boards and had an eye for the floor, finding teammates often. He had games of 7, 11 and 8 rebounds, as well as games of 4 and 5 assists. Huge day for Johal who continues to establish himself as a player on the rise in his class. Kalscheur was again solid for 43 Hoops, leading them to a couple nice wins with his all-around play. Kalscheur of course scored the basketball regularly, knocking down mid-range jumpers, stepping outside and sending a three through the nets and then taking it to the rack often. The tough and smooth forward was also aggressive on the boards and did a nice job sharing the ball around some. He had games of 20 points, 6 rebounds and 3 assists, as well as a game of 21 points and 12 rebounds going 12-15 from the floor. McCabe had a bit of a slow start Saturday, but really took his game to another level in PGC’s final game of the evening. In the first game, McCabe had 11 points but really made his mark passing the ball and getting teammates into scoring positions with them, tallying 5 assists. Later, he was hitting shots from the outside off the dribble, got to the paint and made some really nice baskets over defenders and finished a reverse underneath as well, racking up 20 points, 3 assists and 2 steals to get the win over a stout Yanders Law team. Muhammad had a big game early for ET12 Buckeyes, putting up 19 points to give his team a chance in the final minutes. The young guard finished from the free throw line going 7-for-7 that game along with a couple triples. Later Muhammad had another solid game with 13 points, 4 rebounds and 3 steals, but really affected the game with his passing, doling out 6 assists. Plumb had an overall solid day for United in earning a couple good victories on Day 2. The 6-5 forward scored inside some and hit a couple short-range jumpers on the day, going 5-6 from the field finishing with 12 points and 7 rebounds in the win. He also had an 8-point, 4-rebound effort that was better than the stats would indicate. Ramey was out of this world during the biggest game of the day at the Championships Saturday. The slick and talented lead guard had himself a game scoring from the mid-range with some nice pull-up floaters, he was putting in buckets going to the rim and he sank some absolute daggers from deep, particularly the one at the buzzer that tied the game and sent it into overtime versus Mac Irvin. Ramey scorched for 38 points and had 5 rebounds, 2 assists and was 5-of-7 from three in the game. In an earlier victory, Ramey also had 22 points, 6 rebounds, 3 assists and 3 steals. 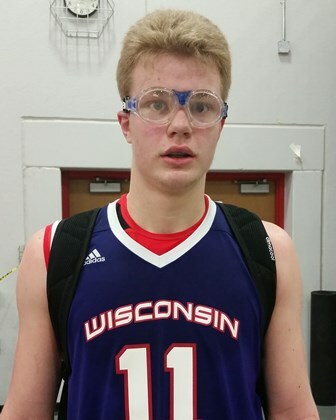 Steffen had an outstanding set for the WI Swing putting in double-digit points in three games and getting after it defensively. Steffen grabbed several rebounds for his team, got up the floor in transition and finished on the drive a number of times, particularly with a couple nice base-line drives. The 6-1 guard put up 15 points, 20, and 19 points in consecutive games, along with 18 total boards on the day as well as 7 assists and a three. Wieskamp continued to play tough as he did in previous sessions, putting together some solid scoring efforts once again for the Barnstormers. In the first game, Wieskamp put down 23 points, sizzling from outside with 4 three’s in 6 attempts. Then, he scored 16 points in another win, hitting a couple more triples and draining all 6 of his free throw tries.